Gulf access 2/2 condo located in the Village at Indian Creek. This condo has been meticulously maintained and sparkling clean. There are great views from the screened in lanai overlooking a spacious landscaped area and lake. Included with the condominium is a private covered parking space and guest parking. The Village at Indian Creek is a boating community with a quick ride to the Caloosahatchee at Marker 34. No bridges to Open Water! The community boat dockage is INCLUDED with plenty of available space. 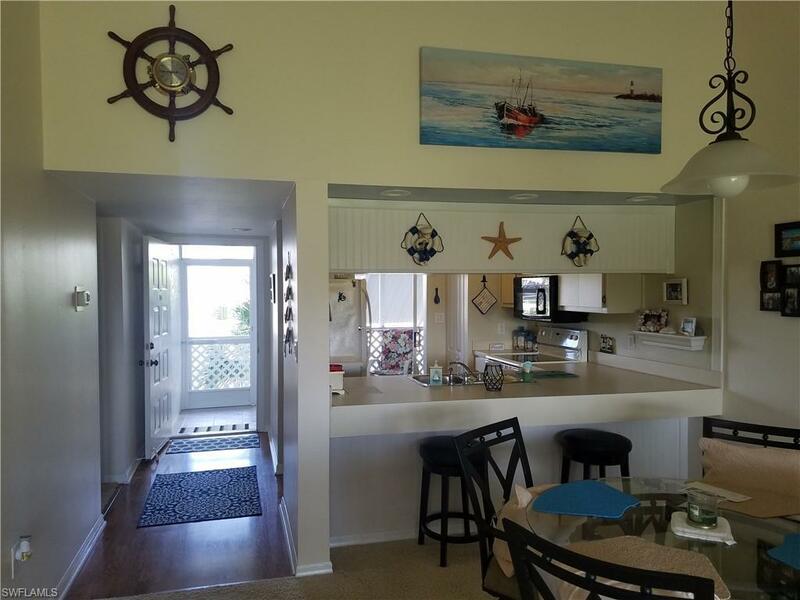 Enjoy a boat ride to locations like The Boathouse, Marinatown, & Sanibel Island. A beautiful heated pool can be used year round! The Village at Indian Creek is tucked away inside a larger community of 212 acres called Riverbend. In the morning or early evening you can find your neighbors walking along the secluded roads that wind their way around the river. There is a quaint covered bridge that you can walk through or drive your car. This is an ideal location, with convenient access to drug stores, the Publix at Eagle landing, easy access to I-75, US 41, shopping & entertainment on the Pine Island Road corridor, & downtown River District. Come see this hidden gem!